Last April, MakeTank hosted a “Makers' corner” inside the International Handicrafts Trade Fair of Florence, where several of our Makers spoke about themselves and their work. Here I met, for the first time, Alessandro de Vivo, the man - better said, the maker - behind the brand Magnetic Snail. Alessandro turned 3D printing in a new business producing, as his brand implies, magnetic snails... for aquarium cleaning. Usually, you clean your aquarium using a two-piece brush: outside, simply a plastic handle; inside, a real brush that follows its external counterpart thanks to small magnets inserted in both components. When you move the device, the internal brush cleans aquarium's glass. It's simple and functional, but also an aesthetic nightmare. “So I decided – Alessandro says – to create something nicer, that could be a real part of the aquarium itself, taking inspiration from the common apple snails you can find in aquariums everywhere”. 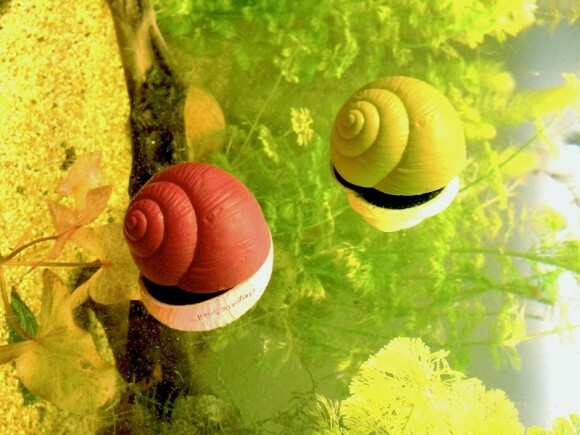 The Magnetic Snails are 3D printed in plastic and sold in couples. The two snails of one set are identical but for one small detail: the shell ends in a velcro strip for the snail designed to stay inside, the other has a softer material. Of course, both have a small magnet to make them move toghether. These magnets are strong enough to clean aquarium with glasses up to 6 mm thick. The snails production is managed all by Alessandro himself, outsourcing to third parts only when special equipment is needed. 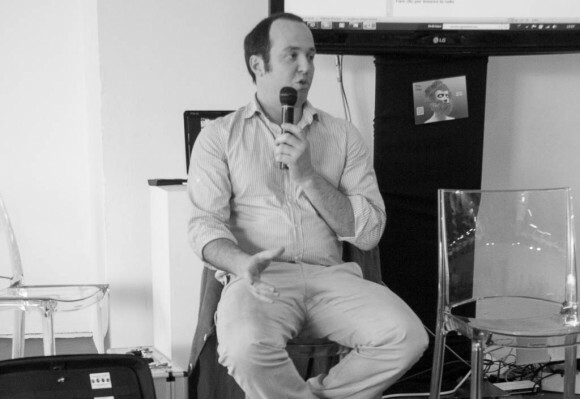 “In this way – he says – I can always adapt to market changes and to fulfill any order, small or big”. Magnetic Snail is a brand, not only a product, because there is more than, well, magnetic snails. “I started – Alessandro says – with a niche, but then I decided to move further, designing objects that anyone could buy”. Still taking inspiration from nature: now we have a magnetic board shaped as a leaf and some multicolored “baby snails”, not for aquariums but to attach photographs and paper sheets on any magnetic surface. All Makers share the same passion for their work, but still they remain different. When we met in Florence, it was impossibile not to notice Alessandro's business-like approach in showing his creations. “When you work with resellers and distributors – he explains – you must have the most professional image you can, even if your products are, after all, handmade. The more your customers, or your distributors, trust you, the more you sell”. The same care is shown in another field the average Maker usually underrates: intellectual property protection. Alessandro patented not only the actual design of his magnetic snails but also a few similar shapes, to be sure that, when someone will copy his idea, the resulting clones will be in any case a bit different from the original. “Patenting your idea – he says – is easy, doing it the right way is very hard and involves costs you must evaluate with care. But if your idea can easily be protected, and from this protection come some economic advantages, I can't see why not to patent it”. So, if you have an aquarium (and even if you don't), it's time to visit Magnetic Snail on MakeTank.